This fall, the majesty and magic of an ancient civilization will be revisited at celebrated concert halls in the United States, Canada, Japan, and Taiwan. 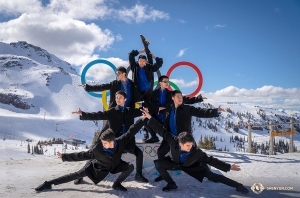 Shen Yun Symphony Orchestra, with its blend of traditional Chinese instruments and full Western orchestra, will breathe life into 5,000 years of civilization, reawakening the beauty, legends, and history of a lost world. The Symphony Orchestra will tour 17 cities in September and October, performing at venues like Carnegie Hall, the Kennedy Center, and Tokyo Opera City. 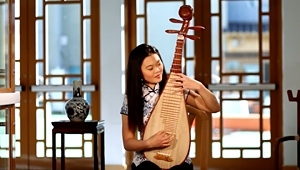 Its new program includes original compositions inspired by dynastic melodies, selections from the Western canon, and solos by some of the world’s top Chinese virtuosos. 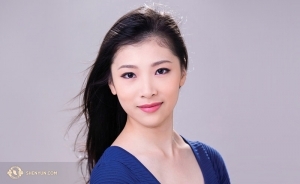 Among them is Shen Yun soprano Haolan Geng. No longer just a rising star, she now annually captivates audiences around the world. 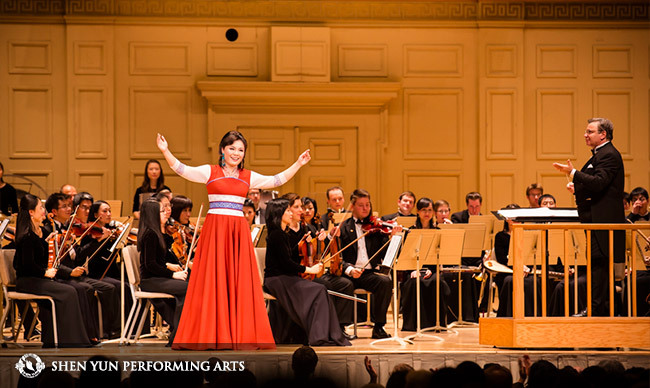 We sat down with her on a crisp morning in Shen Yun’s performing arts center amidst the hills of New York’s Orange County, as she prepares her return to Carnegie Hall. Q: How did you begin your path as a vocalist? HG: I’ve loved to sing ever since I was very young. When I heard singing on the radio, I knew I wanted to learn as well. My mom used to take me to participate in many different choirs—from city to province-level. Later, I chose to go to an arts high school so I could train professionally, and then for college I attended a music conservatory and went from there. A major milestone for me was winning the 2009 New Tang Dynasty International Vocal Competition in New York, which led to my joining Shen Yun as a soloist. Q: What do you think makes a great soprano? HG: You need a correct singing method, good insight, and the power to affect the audience. More importantly, you need a heart that loves music. Use your heart to sing, and don’t be superficial. On stage, when I’m feeling the meaning of my song and getting into its mood, emotions just pour out from inside me. I don’t plan any movements or expressions for this line or that line. Everything comes out naturally. 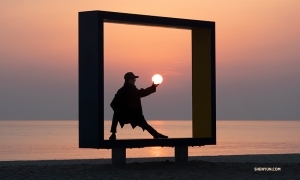 To reach a higher realm as an artist, I think morality plays a vital role. It’s about leading a life of integrity. If you go about pretentiously offstage, you won’t be able to express any sincerity on stage. When the sounds and feelings you let out are pure, your song will be able to truly touch your listener. 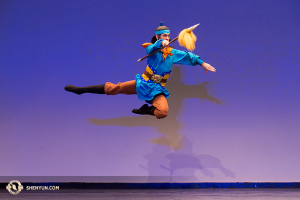 Q: What makes Shen Yun vocalists unique? HG: We use the most traditional singing method—it’s the same as the one classic Italian opera used in the past. It’s different from the bel canto you hear today, which has diverged from its earliest form. 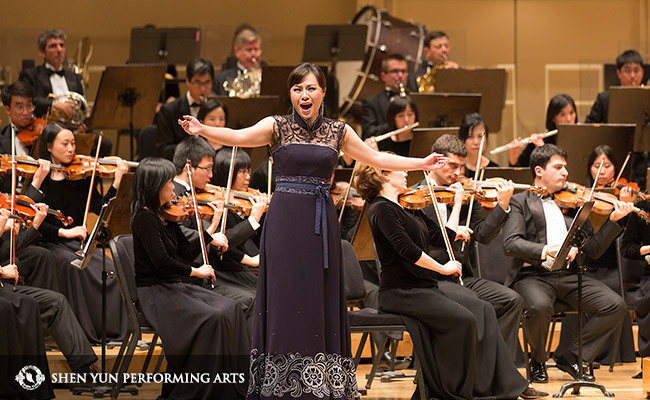 Shen Yun sopranos train in this classic method, meaning we vocalize and articulate from a different vocal position. Of course, it’s also harder to master because our lyrics are in Chinese. Around the world this type of vocal technique is in decline. Until about a hundred years ago, Italian opera used the original, classical vocal technique. But along with the social changes that brought about the waning of traditional culture and traditional arts, this genuine technique has been lost. The singing technique that I learned in my early years at the conservatory in China was a contemporary technique. It was only after I came to Shen Yun that I realized that my previous vocal placement was incorrect. Our Artistic Director is a master of this traditional bel canto technique that had previously been lost. He trains us in this authentic operatic singing method and so we can bring it back to the stage and share this lost art with everyone. Looking back at my path as an artist, I feel extremely fortunate to be able to be part of this. It motivates me to give it my very best and to present this lost art to the audience. People often say that when they hear us sing, it sounds very different from other singing. They say it feels different, but it also feels right. Q: Some people say that singing reflects your soul like a mirror. Does that ring true to you? HG: I think singing is a very direct way of sharing your innermost world. Performing with Shen Yun I’ve experienced this quite a lot. A few years back, when I was studying and then later just starting off in my career back in China, I mostly focused on how to improve myself technically and how to better express and interpret the song in order to touch people. 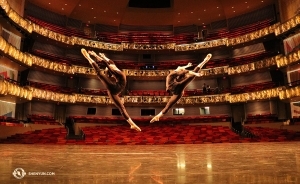 But joining Shen Yun was a big turning point for me as an artist. Here with Shen Yun we practice a spiritual meditation discipline called Falun Dafa, which also has ancient roots. We call it a process of “self-cultivation.” And so here, I meditate and work on improving myself at the level of moral character—it’s part of what we do daily. Then you add to that touring and performing over a hundred shows around the world year after year. For me, it’s a priceless experience and something I find extremely gratifying. And in this process, it’s also led me to reflect more deeply about art and the sort of truth that I pursue through art. What I’ve come to realize is that, maybe somewhat unexpectedly, it’s when I sing with a quiet mind and a tranquil heart that listeners are most moved. I no longer purposefully try to emotionally touch the audience one way or another. Without pursuit, these things are actually happening naturally, and in a more powerful way. I think, for me, this is the biggest difference, and it’s come about because of self-cultivation. 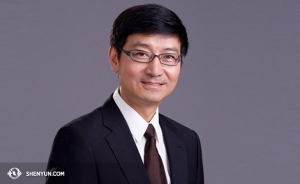 Q: Did you first encounter this concept of cultivation when you joined Shen Yun? HG: Actually, no. It was way back in China when I was a young girl. Back then my grandfather and grandmother practiced Falun Gong (another name for Falun Dafa). My grandmother, especially, used to have all kinds of health issues and within just a couple months of practicing Falun Gong her health did a 180. She was vibrant and didn’t need any of the gazillion medications she had been taking. This was in the early 90s, and Falun Dafa was becoming increasingly popular in China—you could see lots of people were practicing it in parks in the early morning. Then in 1999, the Communist Party banned Falun Gong and started persecuting people who practice it—and it was very hard for me to understand why the government would do such a thing. And so, the seeds of cultivation had already been planted in me at a young age, and I tried to follow the practice’s principles of “truth, compassion, and tolerance” and be a good person. I had gone on with my life, graduated and started working… But years later, when I moved abroad and found myself in an environment that was free—without the fear of persecution that had been all around us—it was easy for me to gravitate back to what I actually wanted. I think that, when it comes to questions like the meaning of life, everybody has a different take on it. Maybe for some people it’s about enjoying themselves, living life to the fullest, or leaving behind a legacy. For me, and I think many belief systems in the past viewed it this way too, I think that being born a human is already a very fortunate thing, and to have the opportunity to have a spiritual guide and a cultivation way is even more rare. If you believe in reincarnation, then it’s something that maybe comes around only once every many thousands of years. And so, through cultivation, I want to raise my moral character, improve on my weaknesses, and elevate myself to a higher and more beautiful realm—for me that’s what life is all about; that’s what I’m here in this world to do. Many of the songs I perform have texts that speak about this principle, the meaning of life, and what we are here to do. If I weren’t a cultivator myself, I would have no way to express these concepts behind the lyrics. Q: So, how does this relationship between self-cultivation and singing manifest in your performance? HG: Well, on one level it’s what I was just mentioning—I used to focus on how I wanted to sing well and touch the audience, and I was actually thinking about a lot of different things while singing. After starting to cultivate, and calming my mind to sing, I noticed that I have less and less stray thoughts. At another level, I believe that sound, and especially the voice, carries a certain energy with it. I think that as someone who is cultivating and trying to apply the principles of “truth, compassion, and tolerance,” the energy that comes out when I sing from the heart is different from before. It’s kinder and more able to communicate directly with the listener. Q: People do often comment about your voice, describing it as “powerful” and “emotive.” How did you get it? HG: You often hear people talk about having a natural gift, or a “God-given talent.” Actually, we have a similar expression in Chinese, we call a special gift “tian fen,” meaning, something the heavens give you. Q: What goes through your mind as you sing? HG: When I look at the lyrics for the first time, I don’t set myself to memorizing the words. I begin by getting a gist of what the song is trying to say. By the time I sing the lines through a few times, I can start to comprehend it on a deeper level. Then, I keep rehearsing to deliver its message the best I can. When I’m practicing, if my heart’s not calm, I can’t sing well no matter what. If I’m frustrated, I feel like my voice sounds really ugly. Unless I compose myself, I can’t make any progress. For performances, I try to relax before going on. I let go of my worries, putting away my notions, reminding myself what I’m singing for, my purpose. And I clear my thoughts of everything else. Then when I get up there, I don’t think about much. Q: Do you have any special memories from past performances with Shen Yun? HG: There are so many! Sometimes, if the theater is bright enough, I can see audiences wiping away tears when I’m on stage. I’ve witnessed this many times. And every time it’s really stirring to see it happening right before me. 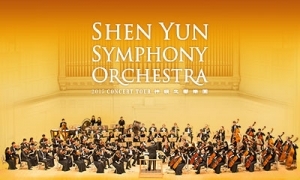 Q: What do you think makes Shen Yun Symphony Orchestra stand out? HG: One of the Symphony Orchestra’s major assets is how it incorporates Chinese instruments into a full Western symphony orchestra. This creates both grandeur and distinct ethnic character. It’s an ideal combination for capturing the spirit of traditional China. 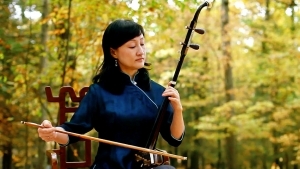 Plus, I know audiences really appreciate the Chinese instruments… especially the erhu, which I love as well. A special, but less tangible, difference is what you might call the spiritual substance. What this orchestra expresses to the audience is unique. I think most audiences are able to understand our music on a higher level—they can empathize with our message. This music is about things like the meaning of life, a path to Heaven, truth, awareness, and enlightenment. We strive to sing and perform about these with a pure heart and so, be it for the audience or for us musicians—it truly speaks to your inner world.